The address of the current location 'Lugano - Airport': Lugano Airport, Turismo E Congressi, Arrival Hall, Lugano, Switzerland. Rental service. At the airport of Lugano, OrangeSmile.com provides cars to rent in all categories: economy, compact, full-size, minivan, SUV and cabrio. Renting a car in the airport is always cheaper than in other rental locations around Lugano. Reservation. When filling in the reservation form, always specify your flight number to Lugano. This helps our rental supplier to control the car logistics based on the actual flight landing time. Also, read the car rental conditions carefully. They specify the required documents to be brought to the desk in Lugano - Airport. Finding the office. Upon landing follow the signs 'Car Rental' to find the rental location 'Lugano - Airport'. These signs can be found in the baggage area and in the arrival hall of the Lugano airport. Communication. Keep the phone numbers of our support team and the rental office in 'Lugano - Airport' with you during the trip (both numbers are provided in the confirmation voucher). In case of any deviations from the plan or delays, please make a notification call to the rental desk as soon as possible. In case of problems at the 'Lugano - Airport' office, make a live phone call to our support. At the office. Ask your rental officer in 'Lugano - Airport', whether it is possible to upgrade the vehicle. Often, rental companies of Switzerland use the opportunity to make the customer happy by an upgrade. Also ask for telephone numbers to be used in case of car damage or theft situations. Return. At the rental desk in 'Lugano - Airport', ask the officer how tolerant the rental company is to the 'too-late' returns. Normally, a one hour delay is not penalized in Switzerland. We wish you great holidays and fantastic time in Lugano! 'OrangeSmile.CarTrawler' enables advanced search through the most complete and up-to-date database of actual car rental offers in Lugano, as well as an instant 3-step reservation service for your selected vehicle. All the booking stages, including the confirmation voucher, are provided in most common languages, including English. We guarantee that regardless of your rental dates, at the location 'Lugano - Airport' you will always find a car at a price that will be lower than in other rental companies. Lugano is a southern city in Switzerland, which is separated from the rest of the country by Monte Bre and San Salvatore mountain range. 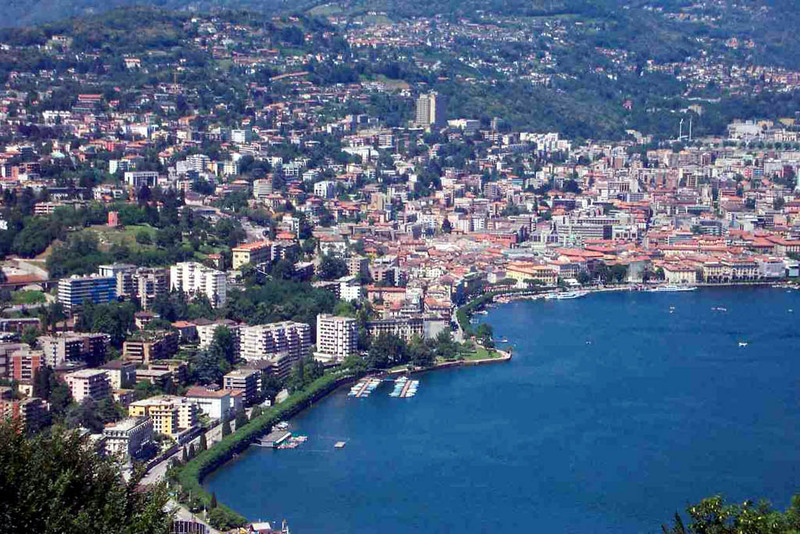 The city is located on the shore of Lake Lugano. 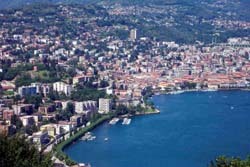 Lugano became a major trading center already in the IX century. Because of this it was constantly conquered by different troops, including Spanish ones. Lugano became a part of the Swiss Union only in 1512. Nowadays this is one of the cities that belong to the Italian part of Switzerland. The city also remains the center of cultural and political life, industry and commerce. While visiting numerous architectural sights which are located in Lugano, you will find here magnificent parks with huge flower beds and subtropical unique plants. The main attractions of this place include the world's only museum of chocolate; Cantonal Art Museum, which art collections feature the works of Italian artists and other famous painters of Italian Switzerland; and the city museum, which exhibits a collection of works by local artists. You will also find several small historic towns near Lugano famous for their Italian influence. On daytime Lugano offers numerous services mostly connected with recreational activities: water skiing, windsurfing, sailing boats and paraglayd, horse riding, golf and hiking on mountain slopes. At night the city offers various types of entertainment like visiting clubs, discos or attending an entertainment center named Kursal.